Pink Pearl is an all media juried visual art exhibition. Drawing is a foundation of all art making. Erasing what one has drawn also may come to play in the act of the process, thus Pink Pearl—that bubble gum-pink eraser many artists have used. This all media juried exhibit is about drawing as well as the removal/erasing process—adding & subtracting. The acts of drawing and erasing expand to and include all media. We invite all explorations & interpretations of this theme and encourage all media, styles and techniques. Open to artists 21+ in the St. Louis, MO region. • Open to artists 21 years of age and older living in the St. Louis, Missouri region and surrounding 200-mile radius*. • Artist also must be resident of the St. Louis region/200-mile radius when show begins (September 29) in order to submit work & participate, if selected for exhibition. *ONLY artists from the St. Louis region may enter or participate in exhibit. Artists who reside further than 200 miles from St. Louis are not eligible. Chicago, IL and Kansas City, MO are further than 200 miles and do not qualify for eligibility. Serving as jurors are St. Louis-based artists Mary Borgman and Brigham Dimick. Artist Mary Borgman has served as lecturer at Washington University, Sam Fox School of Design & Visual Arts since 2004. Her large-scale charcoal portrait drawings have been exhibited in galleries & museums across the U.S., including the National Portrait Gallery, Smithsonian Institution, Washington, D.C. She holds a MFA in Drawing, Fontbonne University (2001); Associate in Arts Degree, Deaf Communications, St. Louis Community College Florissant Valley (1986); and BFA Washington University in St. Louis (1982). Her work is represented by Gallery Victor Armendariz, Chicago, IL. Her works are included in numerous public & private collections across the U.S. Internationally exhibited artist Brigham Dimick is Professor, Art & Design, Head of Drawing, Southern Illinois University Edwardsville where he has taught since 2002. Brigham holds a MFA in Painting, Indiana University, Bloomington, IN (1991), and BFA in Painting, Tyler School of Art, Temple University, Elkins Park, PA (1985). Awards of Excellence will be selected by the Jurors for this exhibit and include (1) $250 Best of Show Award of Excellence and (4) non-cash Awards of Excellence. All five Award recipients will then be eligible for our “Honor Awards 2019” ten-artist curated exhibit presented at Art Saint Louis, June 15-July 18, 2019. “Honor Awards 2019” Curator: Jessica Mannisi, independent curator, St. Louis, MO. Jessica previously served as Assistant Curator, Schmidt Art Center, Belleville, IL from 2008-2017. Art Saint Louis Gallery, 1223 Pine Street in downtown St. Louis, MO. Exhibition dates: September 22-October 25, 2018. Free reception on Saturday, September 22, 2018, 5-7 p.m.
WHAT IS A JURIED EXHIBITION? • A juried exhibition is a competitive exhibit process. The artworks that you submit will be in competition against all of the other artworks submitted for consideration for this exhibit. Some artworks will be selected for the final show, while others will not be selected. The exhibition Jurors make all final decisions as to which artworks are selected for the exhibit. • At no point during the jurying process are our Jurors shown any artist-entrants names. This process is called a Blind Jury and your works are most fairly considered by the Jurors. The Jurors are shown a digital image presentation of only the artwork, the artwork title, year, media, dimensions–NO names of artists are shown. In fact most Jurors do not see/know the name of the selected artists until the exhibition actually goes up on Gallery walls, months after jurying has taken place. •Artwork availability: Please do not double-book your artwork, do not commit it for other conflicting exhibits or sell it without possibility of exhibition availability if you plan on entering your work into this Art Saint Louis exhibition. Please do not enter work for jurying if you are not able to follow through with the rules of entry/art & exhibit guidelines. The deadline to submit works for this exhibit is July 9, 2018 (11:59 p.m. MST). PLEASE NOTE that this is an online entry process. The entry & upload process does require time, depending on your advance preparedness and image sizes, so please allow yourself adequate time when applying for & submitting your work to this exhibit. Advance registration (prior to entry deadline date) and image uploads to a Portfolio are highly recommended. • Limit 3 original artworks in all media, styles, and techniques that respond to the theme of the exhibit, Pink Pearl. Theme described at top of this call for entry. • Artwork must be completed between 2015—2018. • Works not exhibited in any juried exhibit in St. Louis region during 6 months prior to exhibit dates. • Works not previously exhibited in any exhibit in Art Saint Louis Gallery. • NO ceiling installed work, this includes installation works. • NO artworks that sit directly on Gallery floor. • 2-d works must be framed or, if not framed, pre-approved presentation. • Works on canvas may be gallery-wrapped, strip-framed or framed. No unstretched canvas. • Size limits: Final installation size on all 2-d and wall-displayed/hung work not to exceed 6’ (72”) WIDE or 7’ (84”) HIGH/TALL, this includes frame. • Weight limit: 2-d works may not exceed 40 lbs. • NO works that are nailed, pinned, tacked, taped, velcroed, painted on, glued, adhered, or affixed directly to/on Gallery walls. Art Saint Louis uses traditional hanging hardware (hooks/nails) to hang artworks from their wires on the back of the pieces— however, we will not nail or tack an artwork directly to a wall, nor will we velcro, glue or use any other substance to directly apply an artwork to the wall. ALL works must hang by/from standard picture hanging hardware. • No loose plexi that is clipped or nailed to wall. • Artist must provide all equipment necessary to present video or artwork requiring electricity, incl. cords, adapters, DVD player, monitor, etc. ; OR Art Saint Louis has one 20″ monitor permanently mounted on gallery wall on which selected video artworks can be presented during exhibition. Headphones are provided if audio is integral to artwork. Artist must provide MP3 or MP4 file on flash drive. • ALL rules/specifications as listed above pertaining to 2-D work also apply to 3-D work. • Larger sculptures, oversized 2-d work or installation works must be installed by artist under direction of Art Saint Louis Artistic Director. • We are only able to exhibit pedestal-displayed or wall-hung sculpture. Gallery owns a limited number of standard sized pedestals & will provide for display of 3-d work. If your 3-d artwork is odd-sized, excessively heavy, or requires a very specific sized pedestal, plan on providing that pedestal or platform (that sits at least 18″ up off of the ground) yourself, please. • 3-d works that are extremely fragile, very small, that have a very small bottom/base, are unstable, or do not sit flat on a pedestal are not considered. • Do not submit any 3-d artwork that will not fully sit flat/level on pedestal or other display surface. • Judging is only done by JPEGs online only at CallForEntry.org. • The image limit reads 6, and this allows for either one detail or one alternate view per artwork. Do not exceed 3 artworks total or you will be disqualified. • Limit 2 JPEGs per artwork: 1 full view is required and either 1 detail OR 1 alternate view. • IMPORTANT: IF you submit more than 2 images per artwork, the Jurors will NOT be shown your additional images. Any more than 2 images per artwork is not permitted and all additional images will be moved to the “withdrawn” category. • NOTE: Multi-paneled artworks count as one artwork, as long as they are presented as one artwork and the total size of the artwork does not exceed our size limit rules. An artwork that is a diptych (2 panels) = one artwork; a triptych (3 panels) = one artwork, and so on. Please photograph the overall artwork and only be sure to include one detail/close-up view. if you submit images of all 3 panels and a full view of your triptych, you have exceeded your image limit. • Cropped to feature only your artwork. • Please, NO watermarks or name imprints/signatures. • Free of a time-date stamp. • Please photograph your 2-d work before you have it professionally framed. If the only image you have of your artwork is of the work framed, please use image editing software to crop the frame out of the image. Your artwork is what will be judged, not the frame. • File format: JPEG only. • File dimensions: 1200 pixels or greater on the longest dimension. • File resolution: 72 ppi/dpi (standard web resolution). • File size: 5MB maximum. • File formats: 3GP, WMV, AVI, MOV, ASF, MPG, MP4, M2T, MKV, M2TS. • Resolution: minimum 620×480; max. 1920×1080. • Aspect ratio: 4:3 or 16:9. • Bit rate: recommended above 240 kbps. • Frame rate: minimum 12 fps, recommended 30 fps. The frame rate of the original video should be maintained without re-sampling. In particular, pulldown and other frame-rate re-sampling techniques are strongly discouraged. • Video file size: 100 MB maximum. Submissions that do not comply with rules of entry will not be presented to the Jurors. Artworks selected for exhibition that are not accurately depicted by JPEGs may be refused/will not be exhibited at Artistic Director’s discretion. • If you are accepted for this exhibit and sell your accepted artwork prior to the show, we recommend that you please sell it with the condition that it will be available for this exhibit. If that condition isn’t possible, please do not enter that artwork for our exhibit. Remember that entry fee is non-refundable and artworks may not be substituted. • All works submitted for this exhibit must be available for the show dates. We will not exhibit substitutes. • All artworks must either have a sale price or be marked Not for Sale (NFS). If NFS, please provide an insurance value (50% retail). • No works marked POR (Price on Request) will be accepted. • Artwork prices may not be changed once submitted for jurying. • All sales are through Art Saint Louis with 30% donation/commission on work sold to ASL and 70% to artist. • Your sale price should include Art Saint Louis’ 30% commission. • Artist responsible for delivery of sold work to buyer at end of exhibit. • Artworks are insured at 50% of retail value during exhibit. Artist responsible for work in transit to/from ASL. • All rules listed in above “SPECIFICATIONS” section apply. • All work selected for exhibit must be delivered to Gallery ready to install. • 2-d work must be framed & equipped with hanging wire stretched across back of artwork. • NO sawtooth hangers, clip-style frames or keyhole mounts. • French Cleat mounts okay. • Works on canvas may be framed, strip-framed or gallery-wrapped. • NO works that are nailed, pinned, tacked, taped, velcroed, painted on, glued, adhered, or affixed directly to/on Gallery walls. • Oversized, heavy, or installation work must be installed by artist under direction of Artistic Director. • Video must be presented on min. 9” monitor; monitor weight not to exceed 20 lbs. Equipment provided by artist; OR Art Saint Louis has one 20″ monitor permanently mounted on gallery wall on which all accepted video artworks can be presented during exhibition. Headphones are provided if audio is integral to artwork. Artist must provide MP3 or MP4 file on thumbdrive. • Artworks requiring electricity: Artist must provide all cords, adapters, cord protectors & equipment required to present work. • Specific installation requirements must be resolved in advance with directions/devices provided by artist. • Entry fee is non-refundable. • Artist may submit up to 3 artworks for the one fee. • $20/Art Saint Louis Member entry. 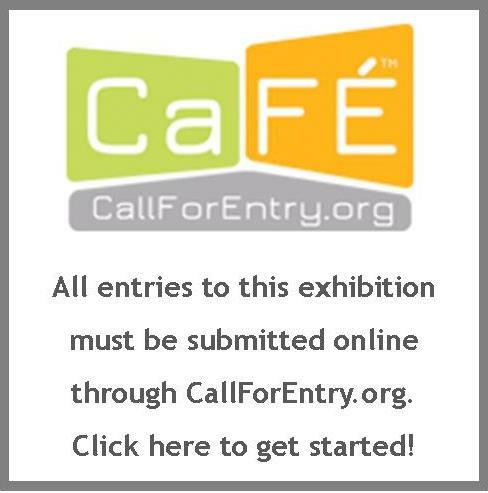 • Fee payable by credit card or PayPal through CallforEntry.org or by check to Art Saint Louis, 1223 Pine St., St. Louis, MO 63103. ▪ To provide as much opportunity as possible for artists at work in our region, Art Saint Louis is pleased to offer scholarship underwriting of entry fees for individuals for whom such entry fees might otherwise be a financial barrier to participation. ▪ To be considered for scholarship underwriting, please submit a written request to info@artstlouis.org relaying your request, including the title of the exhibition/Call for Entry, and your financial need. ▪ A limited number of scholarships are available for each exhibition, and will be awarded by Art Saint Louis on a case-by-case basis at the sole discretion of Art Saint Louis. ▪ Requests for scholarship funds do not guarantee approval or scholarship underwriting. All communications to artists in regards to this exhibition are made by email. Please be sure that you have a working email address. Save robin@artstlouis.org and info@artstlouis.org as safe senders. If you use gmail, please be sure to check your Promotions folder for any emails from Art Saint Louis, as sometimes our mail ends up there. By submitting artwork to an Art Saint Louis juried exhibit, artist-entrants acknowledges that they will be subscribed to our email list, which includes notices about our exhibit opportunities, receptions, and special events. You can opt out of this list at any time by clicking on the unsubscribe link at the bottom of our email. Membership in Art Saint Louis is open to all and is not required to have your work considered for or juried into this exhibit. However, membership does have its benefits, including discounts on entry fees–the reduced Art Saint Louis member entry fee for this show is $20 and the non-member fee is $35. Benefits of membership include discounts on entry fees to juried exhibits, a weekly e-newsletter, a Membership & Resource Directory, access to a Members Only area of our website, 10% discount on all art purchases in the Gallery, 10 % on all coffee bar purchases, and additional opportunities. Click here to download a Membership brochure and join Art Saint Louis today. • As a non-profit artists’ organization, Art Saint Louis relies on volunteer support to help present our exhibitions. All exhibiting artists are required to volunteer 4 hours per artwork selected of time to the production of this exhibit; OR artists may contribute food or goods for the opening reception (value $20/per artwork), help out in the Gallery, OR may buy-out volunteer time at $5/hour or $20/per artwork. • Volunteering, donating goods or buying out volunteer time IS required, this is not optional. • Volunteer sign-up upon delivery of accepted artworks for exhibit. • Cash, contributions of goods, or in-kind services are tax-deductible to the extent allowable by law..
Art Saint Louis reserves the right to photograph all exhibited works for web use and publicity purposes. Art Saint Louis reserves the right to use digital images submitted for jurying for publicity of exhibition including but not limited to email, web use and social media. 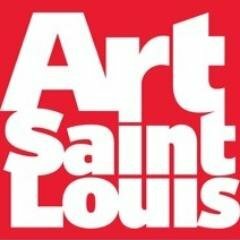 Accepted artists will be required to send high resolution JPEGs of accepted artworks to Art Saint Louis for exhibition records/paperwork and publicity. • Artworks juried into exhibit are to be hand-delivered to Art Saint Louis Gallery on either Friday, September 14, 8 a.m.-4 p.m. or Saturday, September 15, 2018, 9 a.m.-3 p.m. NO deliveries accepted after September 15. • Exhibited artworks are to be picked-up at the end of the show on Friday, October 26, 8 a.m.-4 p.m., or Saturday, October 27, 9 a.m.-3 p.m.
• Exhibited works may not be removed from ASL prior to 8 a.m. Friday, October 26, 2018. • ALL exhibited works must be removed from Gallery by 3 p.m. Saturday, October 27, 2018. Having submitted artworks for jurying & having paid the entry fee, artist (1) accepts all conditions listed in the aforementioned rules of entry/exhibit prospectus; (2) represents, warrants and covenants that artist is not infringing on any proprietary right, copyright, patent right or any other right of any third party, and artist will indemnify Art Saint Louis and its agents, employees, affiliates, licensors, and business partners harmless from and against any and all costs, damages, liabilities, and expenses (including attorneys’ fees) incurred in relation to, arising from, or for the purpose of avoiding, any claim or demand from a third party that the submission, ownership, display, sale or the presentation of your artworks violate any applicable law or regulation, or the rights of any third party. This is legal & binding. Accepted artworks may not be substituted and prices may not be changed once submitted for jurying. • DEADLINE to ENTER: July 9, 2018 (11:59 p.m. MST). This is an online entry process, so we recommend giving yourself plenty of time (and patience) before the final entry date and time. Advance registration and image uploads to a Portfolio are highly recommended. • Jury notifications will be e-mailed to ALL entrants by Friday, August 10, 2018. • Deliver all artworks to Art Saint Louis Friday, September 14, 8 a.m.-4 p.m. or Saturday, September 15, 2018, 9 a.m.-3 p.m.
• Install exhibit at Art Saint Louis on Tuesday, September 18, 2018, 4-6 p.m.
• Art Saint Louis Gallery hours: M—F 8 a.m.-4 p.m., Sat. 9 a.m.-3 p.m. Closed Sundays & major holidays. Gallery free & open to the public. • Pick-up exhibited works Friday, October 26, 8 a.m.-4 p.m., or Saturday, October 27, 9 a.m.-3 p.m. No artworks may be removed from the Gallery prior to 8 a.m., October 26.